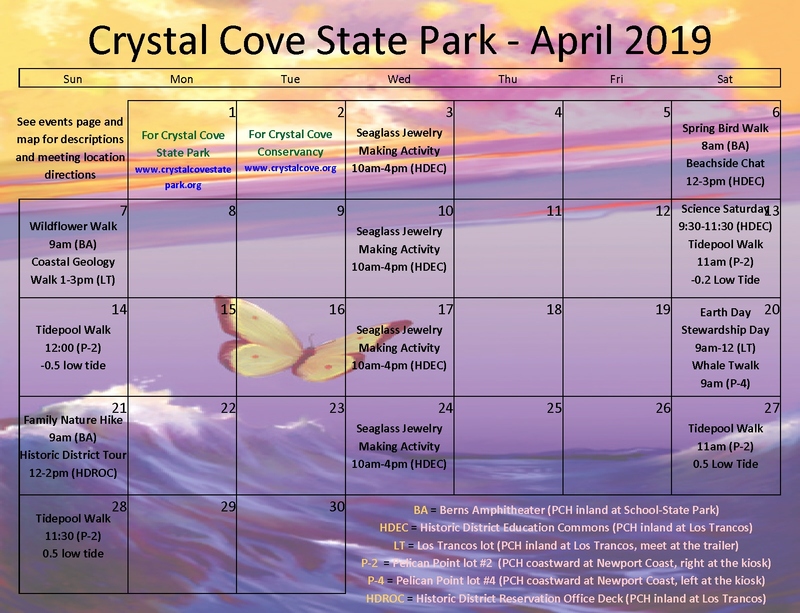 Crystal Cove State Park is hosting a geology tour along the coastal section of the park on Sunday, April 7 from 1-3pm. Visit several diverse and geologically outstanding sites which all display a story from a different geologic time. Meet at Los Trancos lot at the trailer (PCH turn inland at stoplight “Los Trancos”).